The Texas attorney general's office has opened an investigation into a contested election in the Rio Grande Valley won by a client of Texas Democratic Party Chairman Gilberto Hinojosa two years ago, according to a lawyer for the losing candidate. Houston attorney Jerad Najvar said Thursday that Attorney General Ken Paxton's office is acting on a criminal complaint filed by his client, Letty Lopez. She lost to Lupe Rivera, Hinojosa's client, by 16 votes in a November 2013 election for a spot on the Weslaco City Commission. More than a year ago, a visiting judge ruled that some of the votes for Rivera were illegally cast and ordered a new election held as soon as possible, according to local media. Legal wrangling has kept the new election from taking place, and Rivera has remained in office while Hinojosa has defended him in court. In an interview Friday, Hinojosa said he had no comment about the investigation but questioned the motivations of Najvar, a prominent Republican lawyer who specializes in campaign finance and political law. The case has no doubt provided fodder to the Texas GOP, which has latched on to reports of corruption in the Valley to accuse Democrats of hypocrisy on voting rights. Lopez's challenge made its way to the attorney general's office via the secretary of state's office, with which she first filed a complaint alleging voter fraud in the original election. In a letter dated May 13, the secretary of state's office asked the attorney general's office to get involved, saying Lopez's complaint "demonstrates that it is likely unlawful voting occurred." “After review of the submitted documentation, we believe the information regarding offenses warrants a submission for criminal investigation to the Texas Attorney General as the specific allegations described involve potential misdemeanor and felony offenses," Keith Ingram, director of elections in the secretary of state's office, wrote to David Maxwell, Paxton's director of law enforcement. Asked about the investigation earlier this month, a Paxton spokeswoman would neither confirm nor deny it. 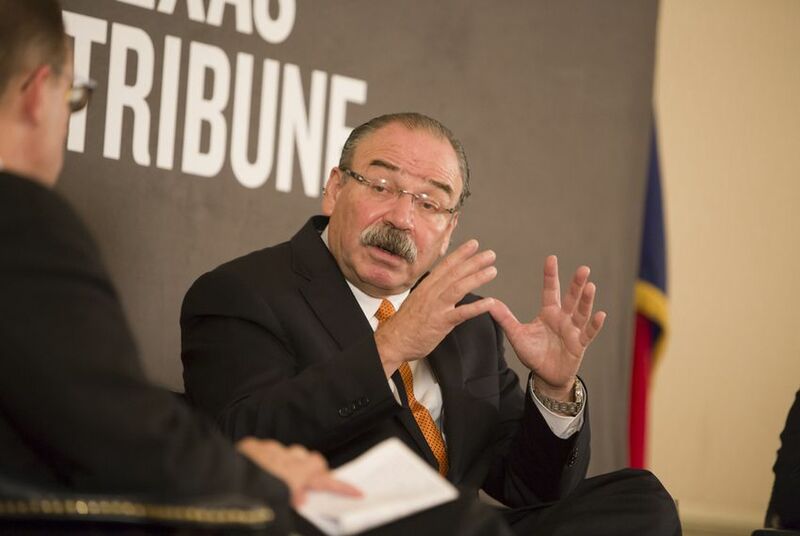 Hinojosa's involvement in the election contest has become a focus of the Republican Party of Texas and the Republican National Committee. Both organizations have used it against Democratic presidential front-runner Hillary Clinton, who delivered a speech last month in Houston that called voter fraud a "phantom epidemic." "The fact that Chairman Hinojosa would spend nearly two years executing a legal strategy that disenfranchises voters, while at the same time possibly profiting off of voter fraud is reprehensible,” Texas GOP spokesman Aaron Whitehead said in a statement. “It is certainly Chairman Hinojosa’s right to make a mockery of the Texas Democratic Party, however Texans deserve better than the leader of a political party making a mockery out of our electoral process." The Texas Democratic Party fired back Friday, bringing up a part of the state GOP platform that calls for the repeal of the federal Voting Rights Act. Manny Garica, deputy executive director of the Texas Democratic Party, also pointed to the legal drama following in the Texas GOP's own ranks, including Paxton and former Gov. Rick Perry. "It isn’t surprising that the Republican Party is resorting to smear tactics to desperately divert attention away from weeks of embarrassing headlines about Republican corruption and racism," Garcia said in a statement. "The Texas GOP ought to take some time to clean house."